What are your kids doing this summer? Come learn about our Math Power! summer program. Please call us @ (617) 332-7841 to save a space for your family. The program will be offered at Green Planet Kids during the weeks of June 25th to 29th, and July 16th to 20th. 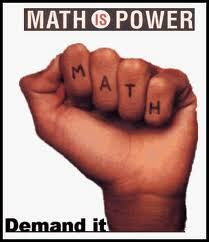 Math Power is for students entering Grades 2 – 8. Morning session for Grades 2- 5, and Afternoon session for Grades 4-8. Hi! I’m Iraheta. If you have a moment, I’d check out bespoke languages tuition; they launched relatively recently, providing expert French tuition, German tutoring, Spanish tutoring and 11 Plus tutoring. I think they’re global? They got my best friend’s daughter into Oxford and my niece into Grammar School!